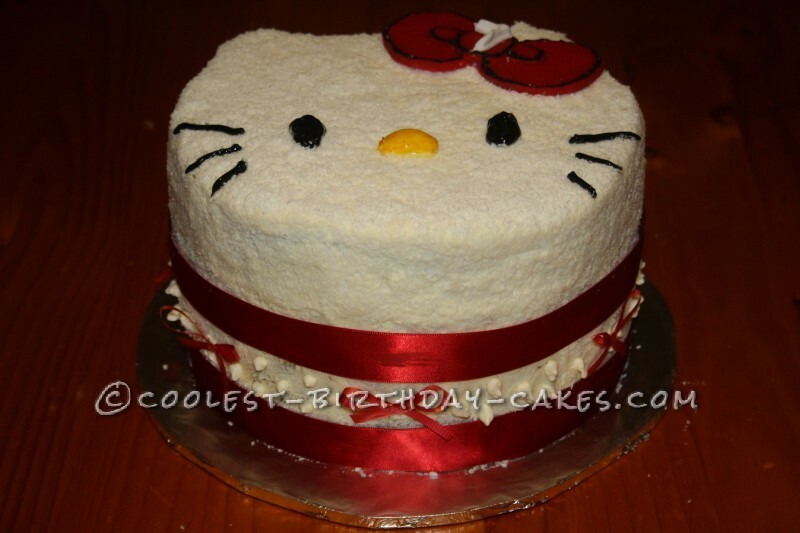 This Hello Kitty cake was made for a little girl turning 7. She is mad about Hello Kitty. I started by baking two French Vanilla cakes in 9″ tins. Once cooled all I did was stacked these for extra height. 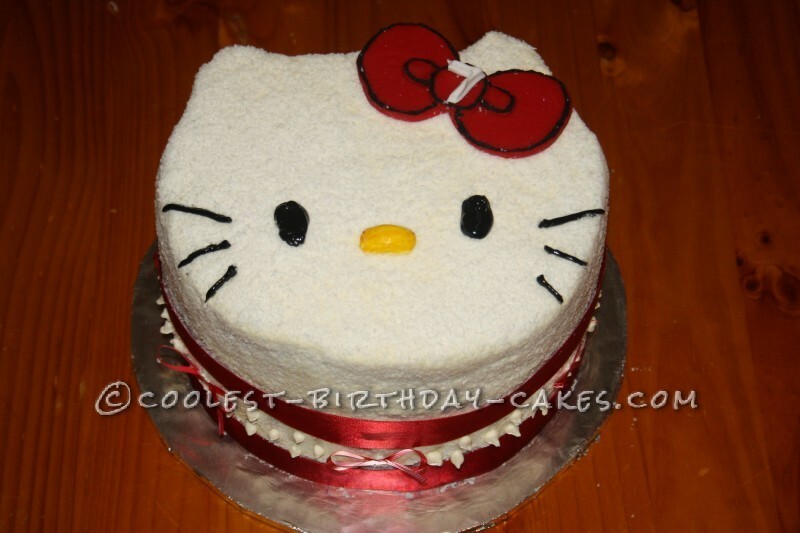 Then I shaped with a knife to give the cake an oval face with some ears. To decorate I used Vanilla frosting and coconut to give the face a bit of texture. I only took this down to the wide ribbon around the side of the cake. I then just piped some peaks below the ribbon. Then on the bottom another wide red ribbon. The hair bow was made from fondant. To this I added a number 7. The eyes and whiskers were done piping gel and the nose a yellow jellybean. All in all this is a very easy and quick cake to do especially for novice decorators. Have fun with it and play around with different color bows and ribbons.